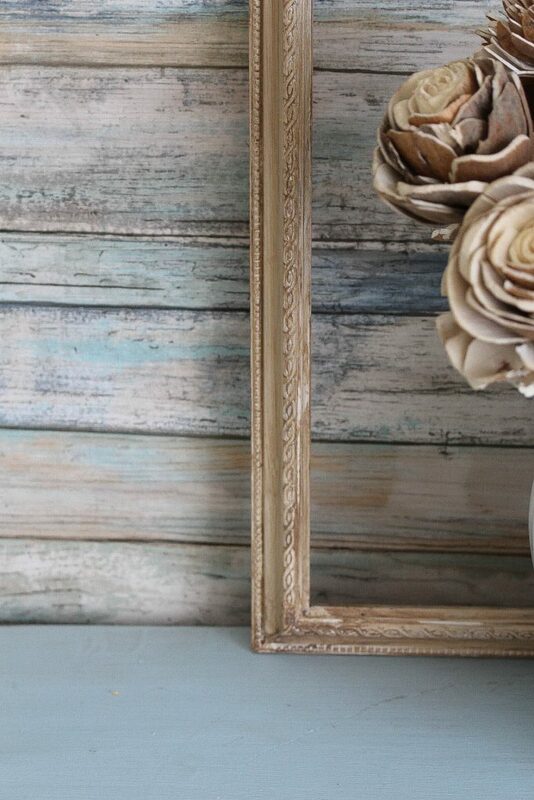 You all know how much I love finding new ways to add a faux or distressed patina. This is probably just as simple as my technique that I shared how to distress using vinegar. I was messing around with paint and water based top coat and I came created a beautiful faux glaze. I absolutely love the finish and as I said this is super easy to do. 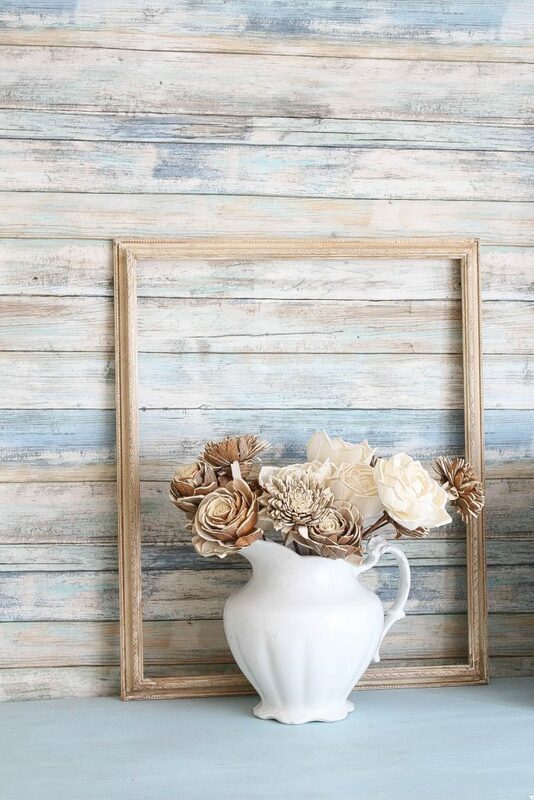 You can create an aged patina using dark wax but I promise you that this is so much easier! For this project you will need to following supplies. You can use this on any piece you would like. But before using this technique on a piece I would practice first. Not because it’s hard to do. But I always recommend this for anyone that is nervous about trying a new technique. 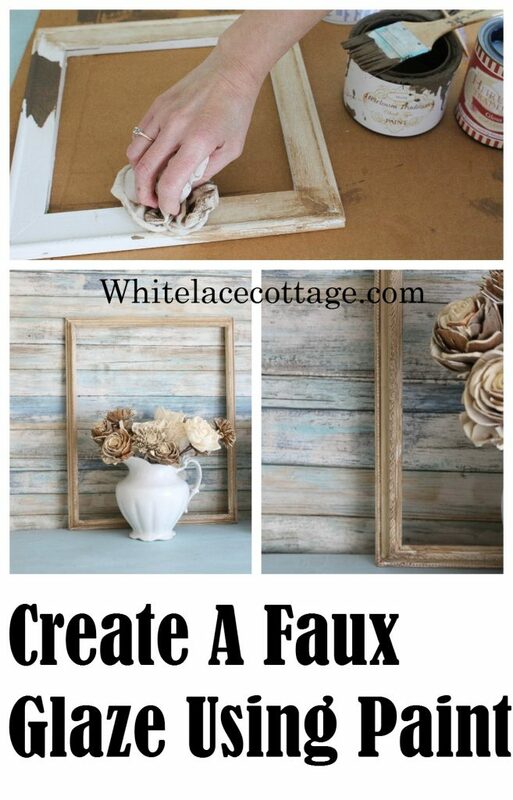 Get a junky piece of furniture, cheap wood frames or even scrap pieces of wood and try this out. I think this may become one of your favorite techniques to adding an aged patina. 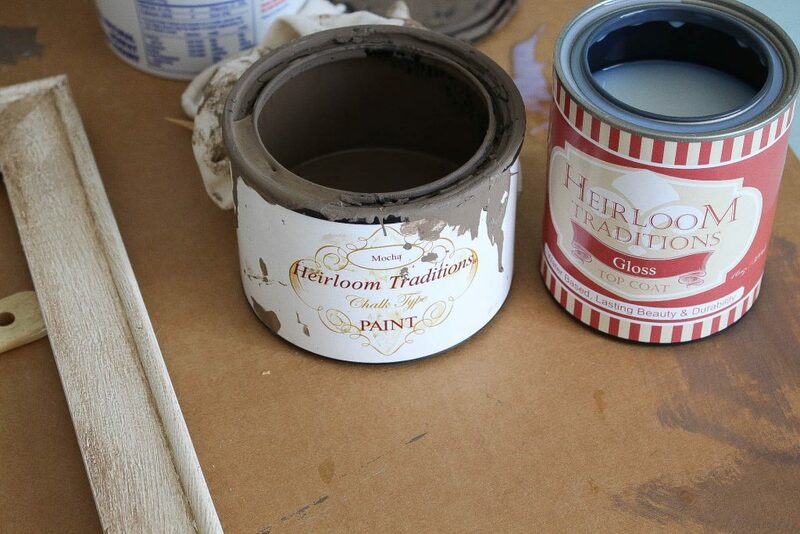 In an empty clean container mix your paint and top coat. I used more of the top coat and less of the paint. 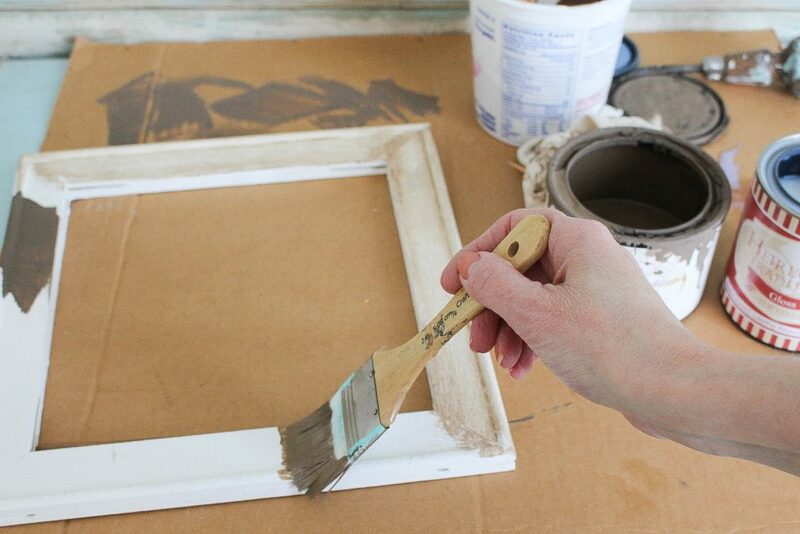 You are creating a faux glaze so you want to give your paint a sort of transparent look. If you’re wondering how much to mix it really depends on the piece you are doing. You’ll have to make that call. But I will tell you that very little is needed. Once it’s mixed well start applying it to your piece. Make sure that you are working in small sections at a time. Unlike a real glaze this dries fast. 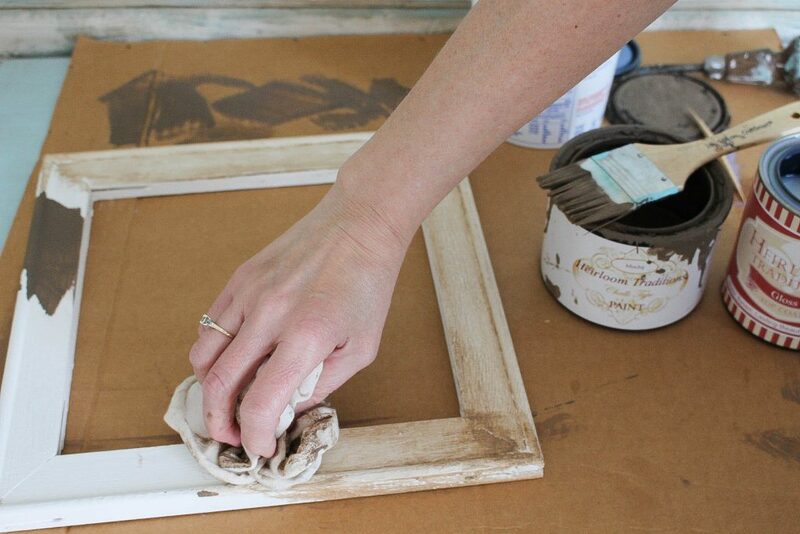 Once you apply the faux glaze take your cotton rag and wipe some of the faux glaze off. If you wiped off too much add another coat. You can’t go wrong just play around. Once you are finished you can leave it as is or go over it with another coat of the clear gloss top coat. Can you see that dark swatch on this frame? That’s what this color looks like without adding the clear coat. You can see it really is much lighter and really creates a pretty faux glaze. I wasn’t being neat about adding the glaze either, I just slapped it on my piece and wiped the faux glaze off. You probably thought the top coat would leave a high finish, but the paint actually kicked it down leaving a flat finish. I know I was surprised too! Oh and you don’t have to add a top coat if you don’t want to . It really depends on the piece. If it’s something that will get lots of use, wear and abuse I would add a coat or two of the clear coat to protect it. If you like the look and you don’t mind that it may end up getting chippy then leave it. I bet you’re wondering or maybe even thinking why would I want to use this method if I can just apply a glaze and be done with it. I personally love this option because it’s so easy to use, the paint and the clear coat is not stinky as most glazes are. Neither the paint or top coat of this paint line has a strong odor. I love that especially this time of the year. I can’t paint projects outdoors. With this paint I can use it anytime of the year. Here’s another frame that I used my faux glaze on. I found these cheap wood frames at the thrift store. They’re usually $1.00 these are great to have on hand to practice techniques like this one. 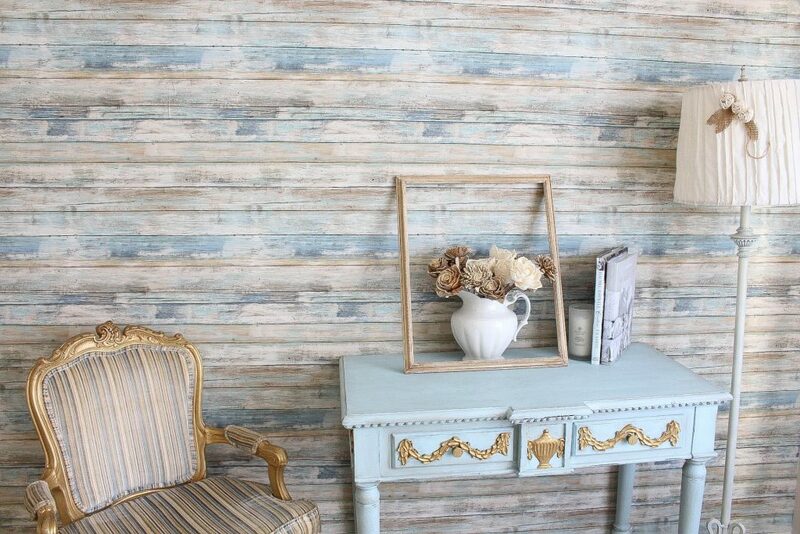 The wall in this room was created by using peel and stick wallpaper. I shared a few tutorials on how easy this is to work with. Click on the links below to read more. So what do you think? Are you ready to try this technique? This is so neat! I know that I can use it on many projects. Thanks! I have a question. How would you age window screen wire?